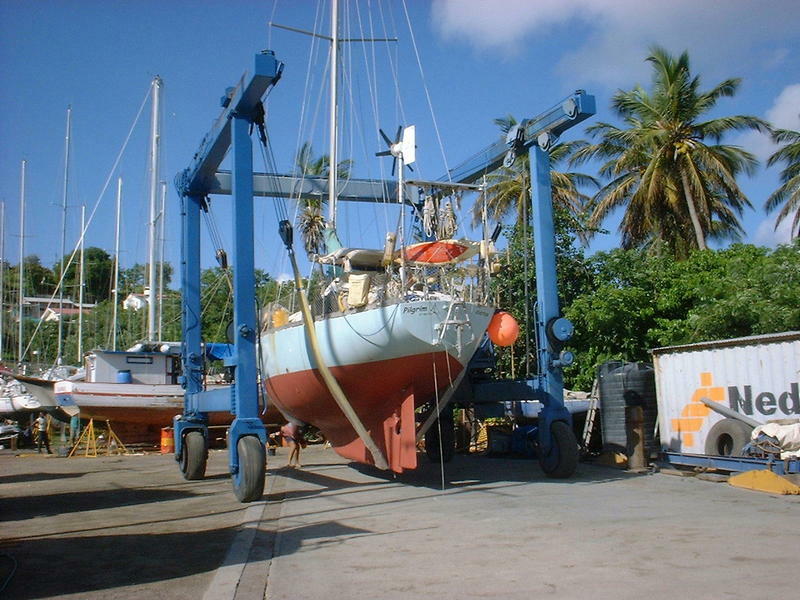 46′ glass fibre long-keeled ocean-going cutter-rigged Bermudan Sloop. Equiped for long ocean passage making. 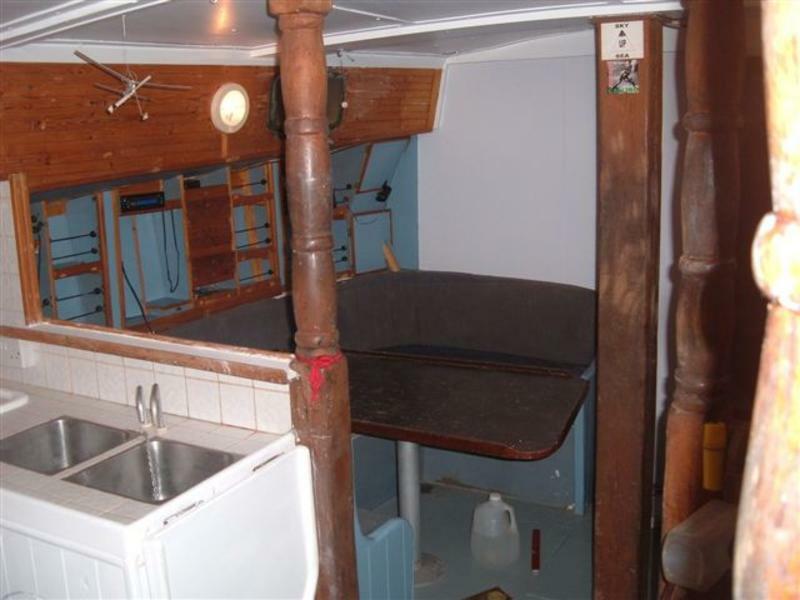 Ready for some refit work after 7 year Atlantic cruise, hence bargain price. 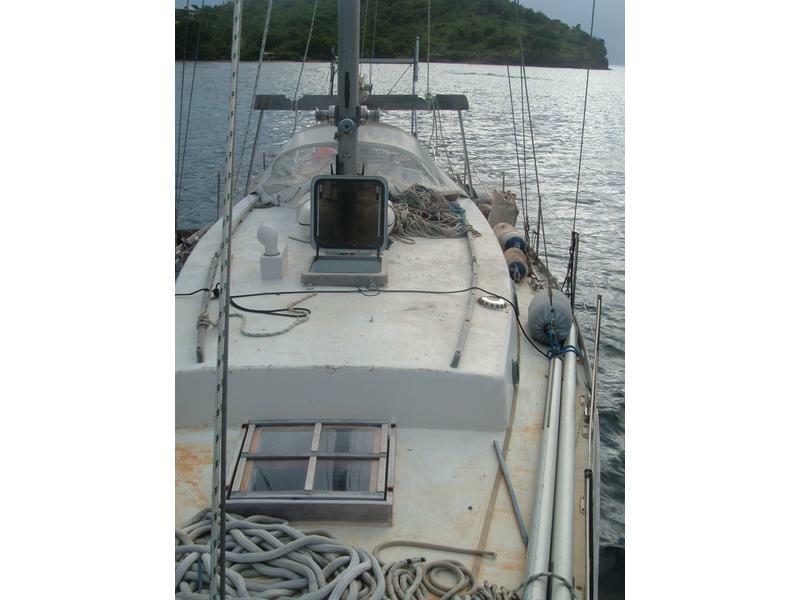 Proven, very safe, centre-cockpit, comfortable, long distance cruiser lying Tyrell Bay, Carriacou, Grenada, W.I. 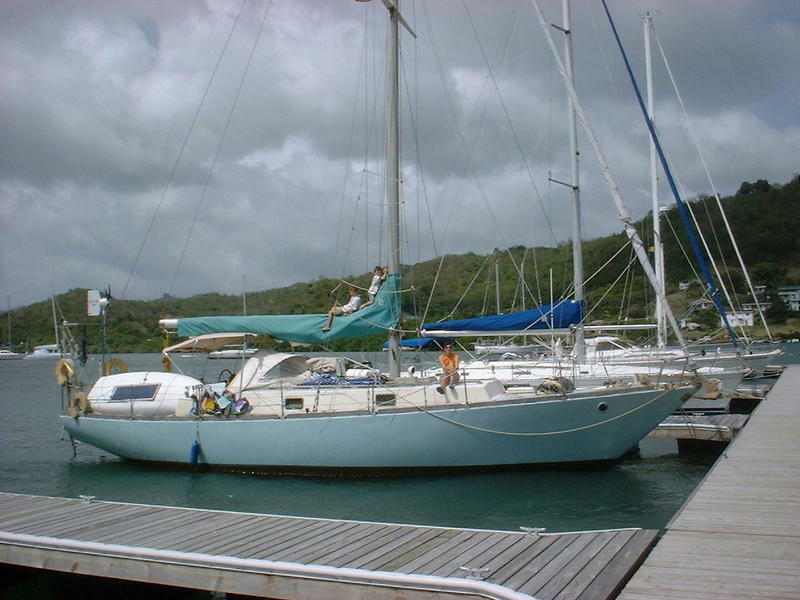 Reluctant sale after 7 year Atlantic family cruise. Lying on mooring. 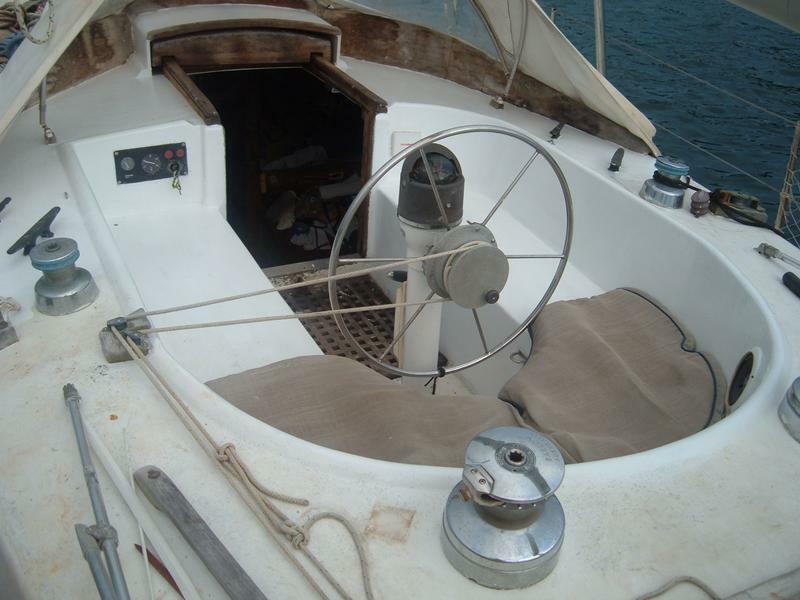 A great opportunity to improve a solid reliable boat with lovely lines, which is ready to sail in a beautiful location. 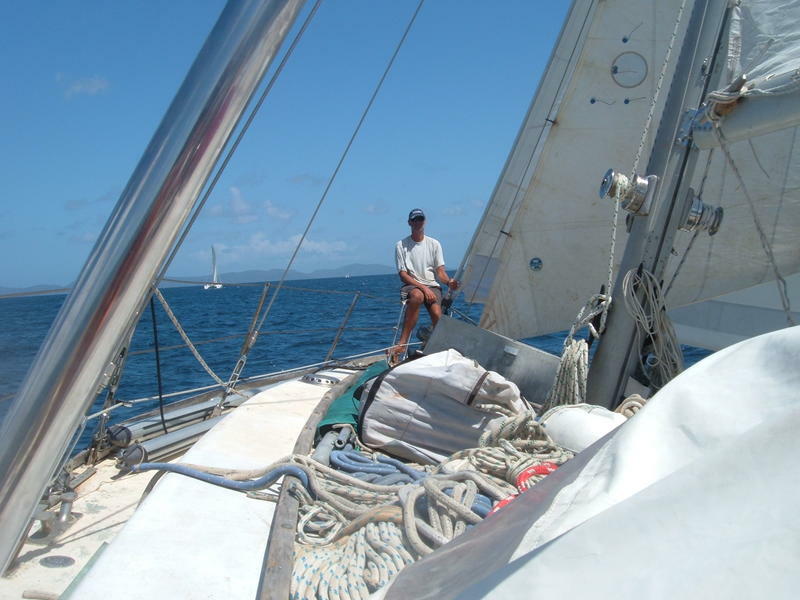 Safety gear includes EPERB, Lifeboat, Warps, Sea Anchor, unused Storm Sail, Fully Stepped Mast. 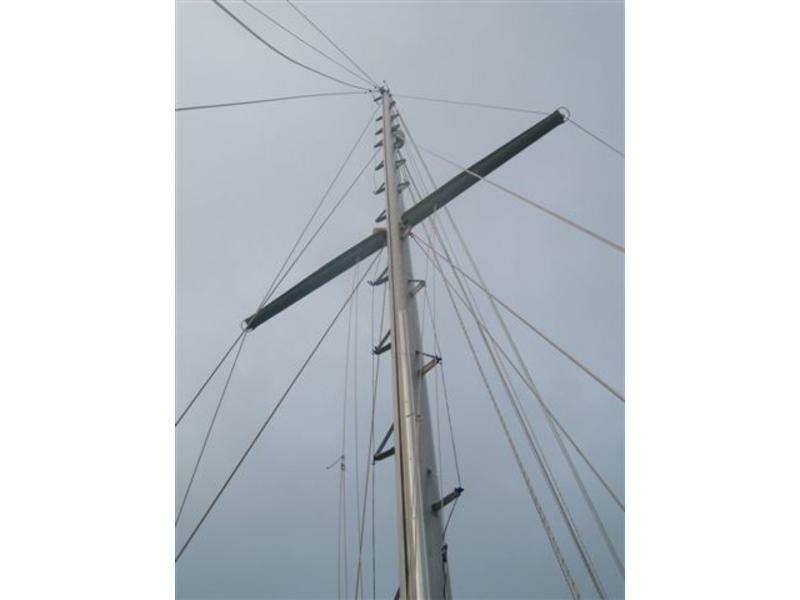 Slab-reef Main (useable but very tired), Nemo Roller-reef Headsail. New Standing Rigging. Perkins 4236 engine. Large Delta Anchor 2 kedge, 1/2″ chain, Seatiger manual windlass, Aries Self-Steering with adaption for electronic control by Raymarine Tiller pilot; Aquair Wind/Towing generator, Solar Panels. 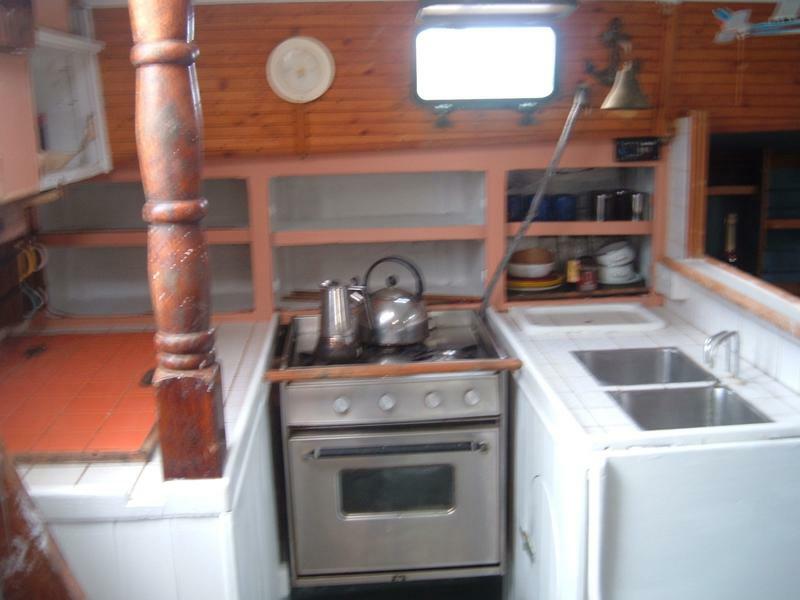 Large Navigation area: GPS, Radio, SSB Receiver, Depth/Speed log; Sleeps 7/8 comfortably in 3 cabins. 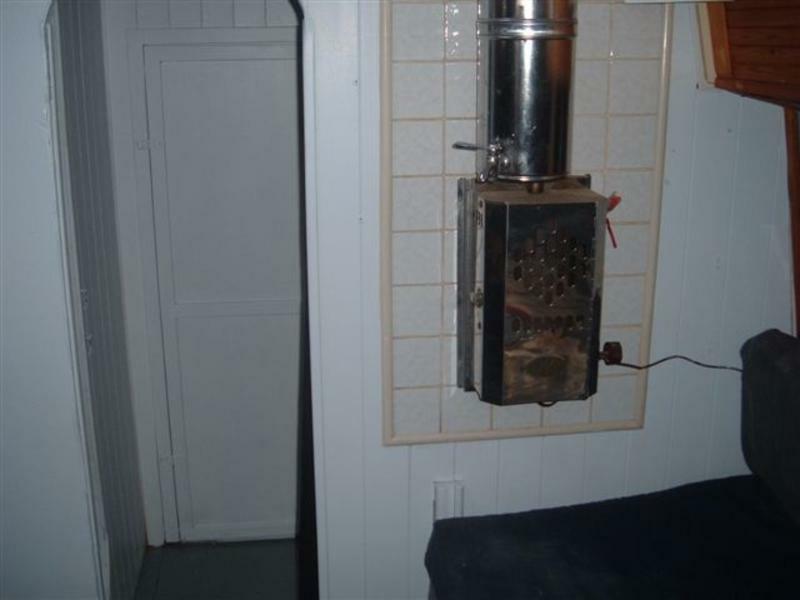 Large aft cabin: storage room (was 2nd heads); Workshop area with bench, vice & storage area; Galley: S/S Seaward Princess 3 Burner, huge fridge/Freezer: Saloon: Port table converts to double berth, stb berth, all 6′ , plenty of storage, solid plastic water tanks under sole, Feature Taylors heater/water heater; Tiled Heads with footpump shower; Double cabin fwd with extension berth/storage area opposite heads. Hull sound. 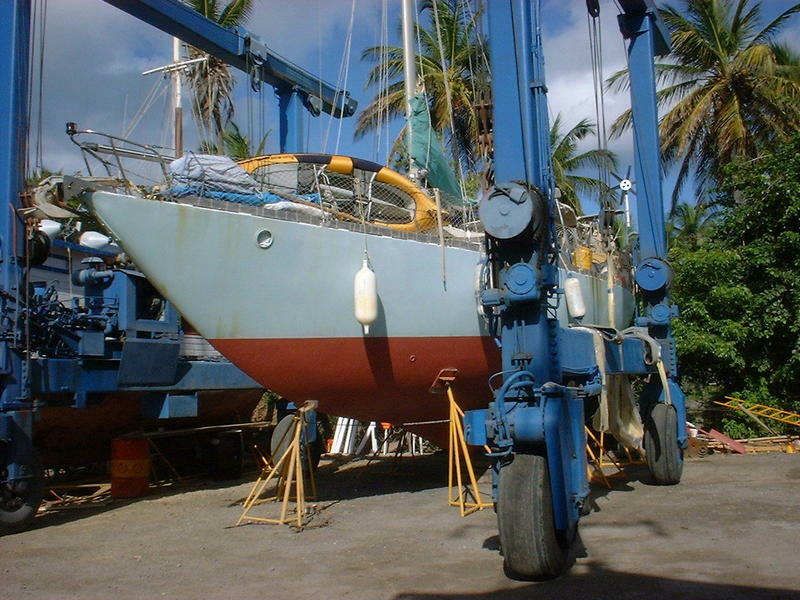 Repainted red and antifouled 1007. Lying on mooring. 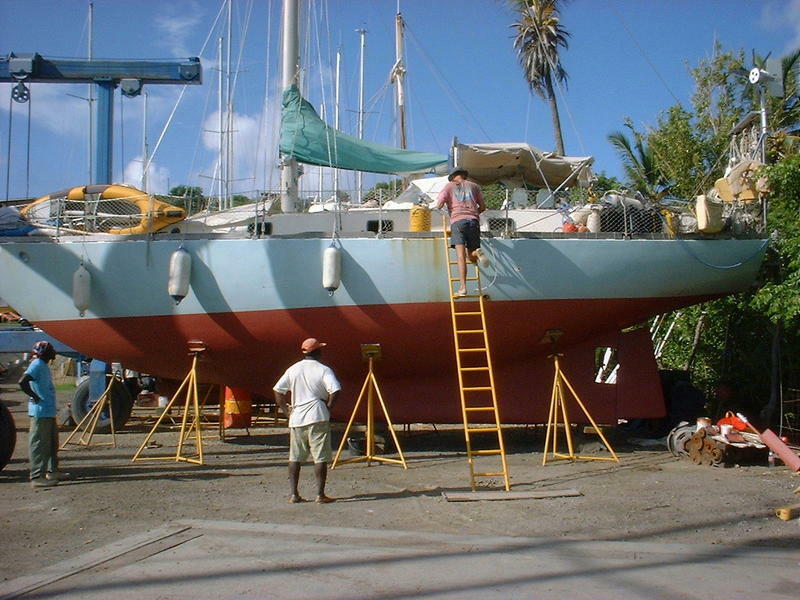 A great opportunity to improve a solid reliable boat with lovely lines, which is ready to sail in a beautiful location. I do my best to post the most accurate information I can find, but please be aware that information here may be incorrect. 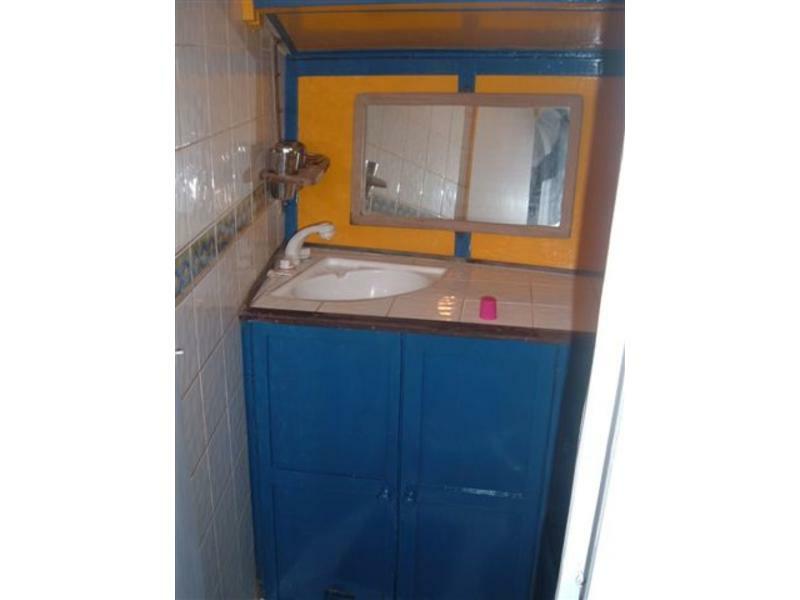 If you have any comments about this boat, corrections to the specifications listed, or can provide additional information or photos, please use the comment form below and share what you can. I will update information as it becomes available. Thanks for coming to the site. I love sailing and am fascinated by sailboats. I created this site mostly for my own browsing pleasure, but if you like it too - all the better. 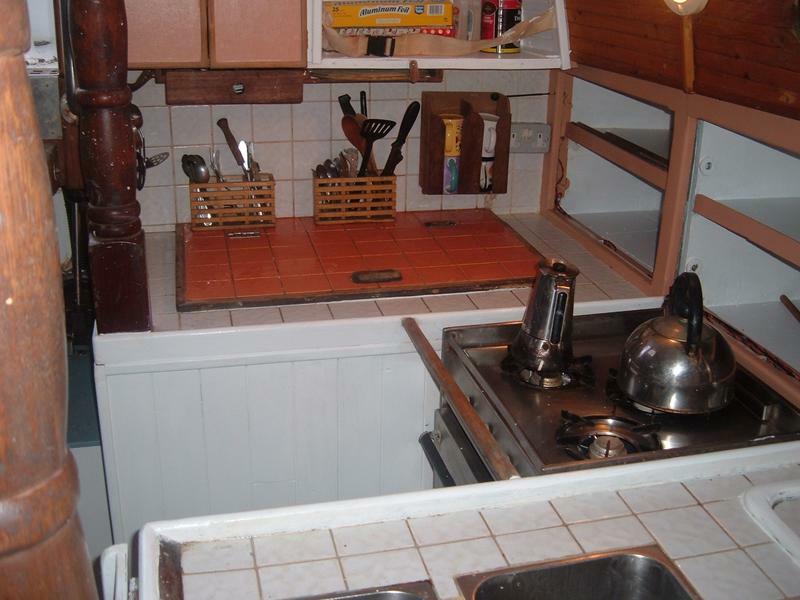 My Homepage I love sailboats, motorcycles, and web development. Say Hi. Yacht Reef Selling your boat? Beautiful sales sheets for Sailboats & Powerboats.